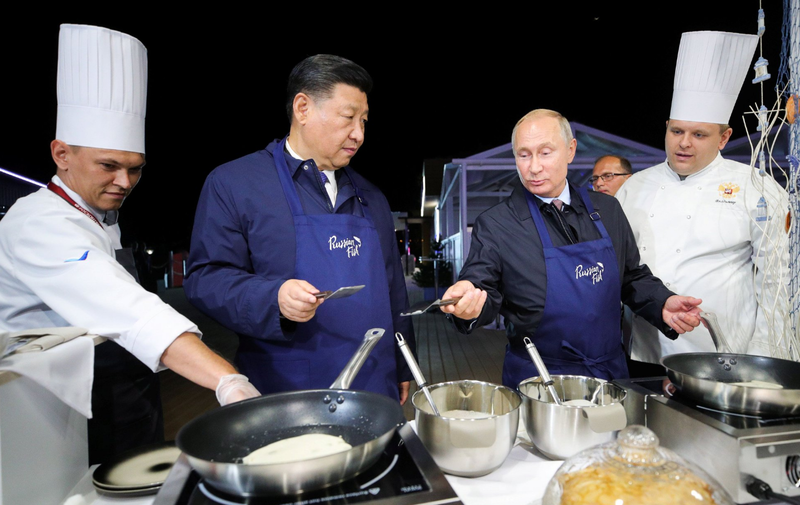 The Carnegie Moscow Centre Think Tank claims that the Russian-Chinese exercises show that the government in Moscow wishes to express its understanding of currently seeing a potential foe in the US and a potential friend in China. Today’s meeting between the two leaders comes at a time of continued US-led sanctions against Russia and a trade war with China that seems to be ever heightening. The Russian Ministry of Defense declared that some 300,000 troops, 36,000 vehicles and 1,000 aircraft would be taking part in the Vostok 2018 exercises. As stated, thousands of troops from China (and Mongolia) will also join in, although the Chinese Defense Ministry wanted to point out that the war games were not "directed against any third party" and would focus purely on "defenses, firepower strikes and counterattack."